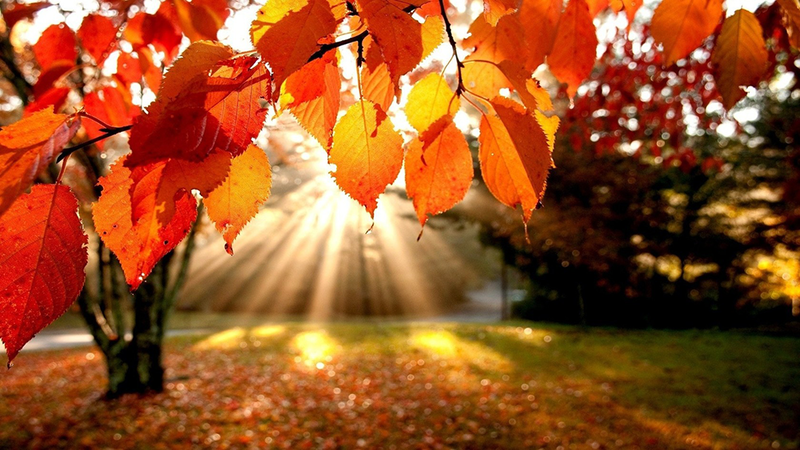 Crunchy leaves, crisp air, dropping temperatures. Fall is here! Curl up on the couch while you let Homey set the right temperature for the season. To make you even more comfortable, we made a (new) comparison to help you decide which is the best smart thermostat for you. There’s a variety of thermostats out there. The majority, of course, work flawlessly with Homey. For this comparison we looked at the most popular ones. Nest, Honeywell, Anna, Nefit Easy and Toon are the five brands we included. Let’s find out which is the best smart thermostat for your situation. Before we get into the smart thermostats, we need to talk about OpenTherm. OpenTherm is a standard communications protocol used in central heating systems for the communication between a central heating boiler and (smart) thermostat. OpenTherm is independent of any single manufacturer. Essentially a controller by brand A can be used with the boiler of brand B. However, OpenTherm controllers and boilers do not in fact always work properly together. Some thermostat manufacturers may include specific features that aren’t necessarily supported by OpenTherm, which may impair compatibility. In Europe everything works with OpenTherm, except for Nefit. They have their own protocol, which offers an off the shelve solution for Nefit boilers. 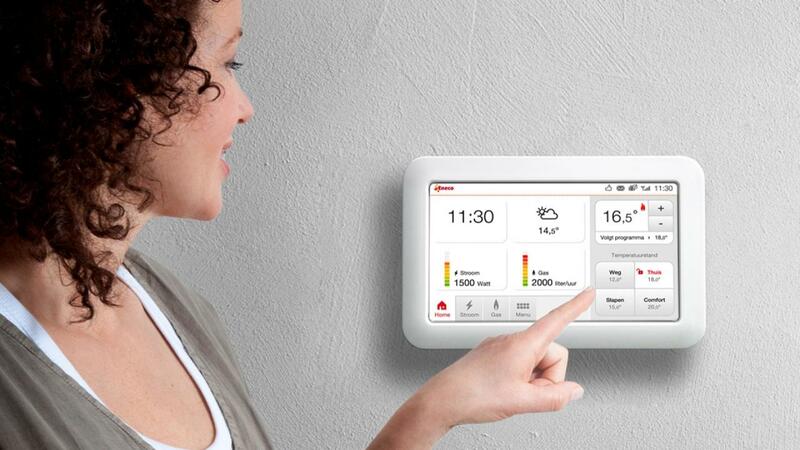 When talking about smart thermostats in Europe, you can’t leave out Nest, Honeywell’s Evohome and Anna by Plugwise. 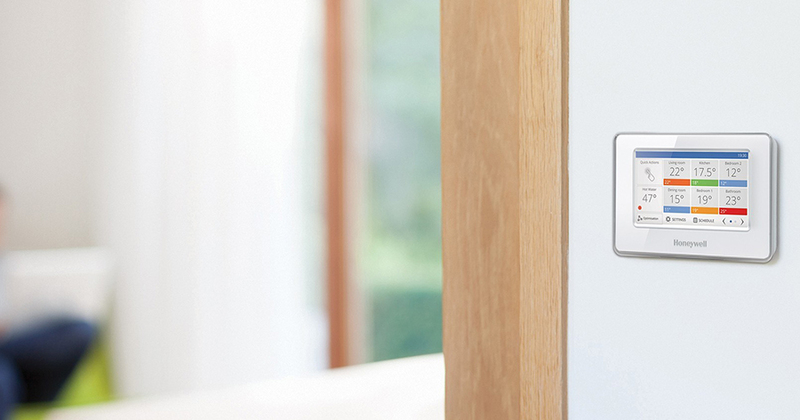 These are the most popular and versatile thermostats. 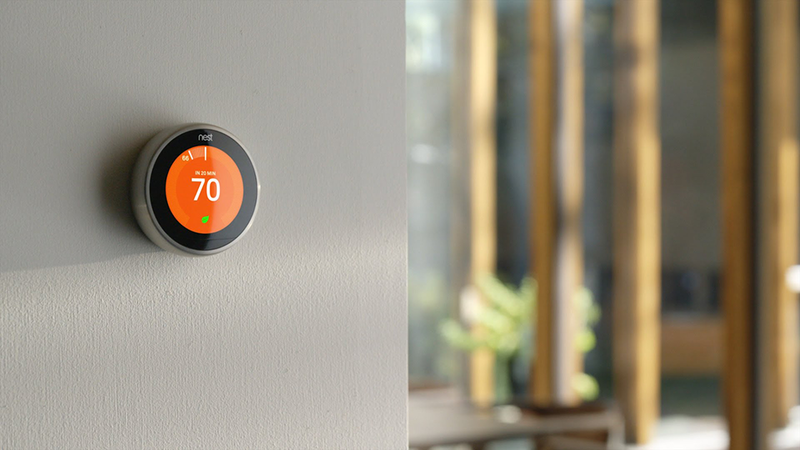 It’s not hard to appreciate the sleek, beautiful design of a Nest thermostat. The no nonsense, metal/jet black design has a lot of fans worldwide. 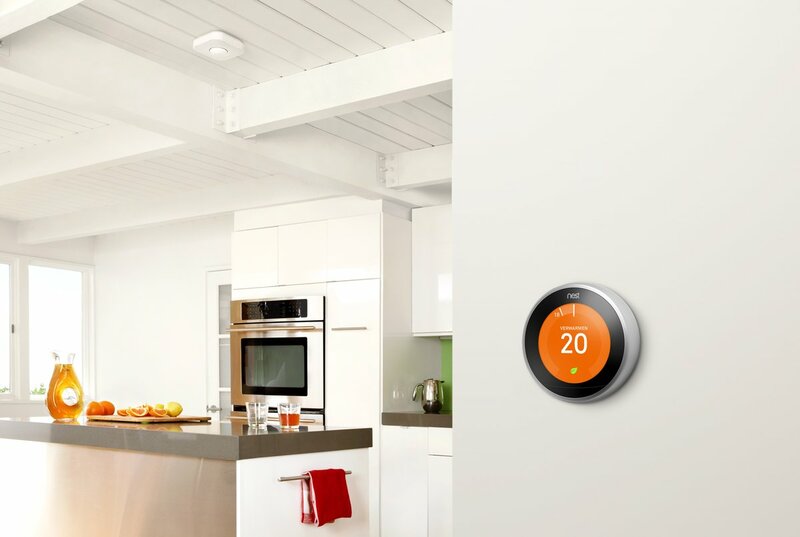 The newest generation Nest (V3) thermostats are one of the most popular thermostats, and work great with OpenTherm. In terms of functionality, Nest is pretty fun. With its learning function your Nest will learn to adjust the heating to your day-to-day rhythm. This can be a big plus, depending how ‘rhythmic’ your rhythm actually is. In the beginning Nest will make your home act a bit funky, either overheating or overcooling your house. Besides, OpenTherm also offers a learning algorithm, which is practically at a same level of sophistication. 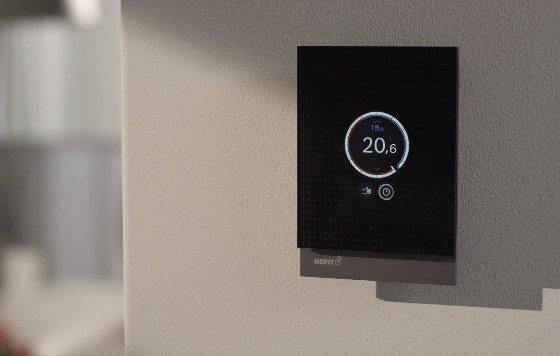 Because of European boiler manufacturers making relatively ‘smart’ boilers, compared to America, a Nest won’t be a huge addition in terms of functionality. It’s America-manufactured, and designed to make the basic American boilers into smart and efficient boilers. Nest doesn’t have such a drastic influence on European boilers, because of protocols such as OpenTherm. For us, however, the biggest letdown with Nest thermostats is the fact that Homey (or any other third party) cannot save and report insights. Due to limitations in the certification process, Nest holds on to this information. Next to that, a constant internet connection is required to control Nest. Not as good looking as Nest, a Honeywell smart thermostat compensates with brute force. Honeywell is a powerhouse, for a powerhouse. The thermostat works with practically any boiler, and offers flawless multiroom heating. You can program different rooms to work on different heating schedules, controlled by a single centralised thermostat. For instance, if your living room is at a pleasant temperature, but your bedroom isn’t, Honeywell’s Evohome will only keep the heat on in your bedroom (by leveraging the accompanying radiator valves). Because of its advanced multiroom heating, we strongly recommend getting a Honeywell thermostat if you have a house with multiple rooms that require different heating patterns. If that’s not the case, do yourself a favour and get a thermostat with less advanced multiroom heating, for half the price. With starter kit prices starting at € 525,- (1 Evohome thermostat and 3 radiator valves), you’ll probably find that in smaller sized homes any other thermostat will do the job just fine! 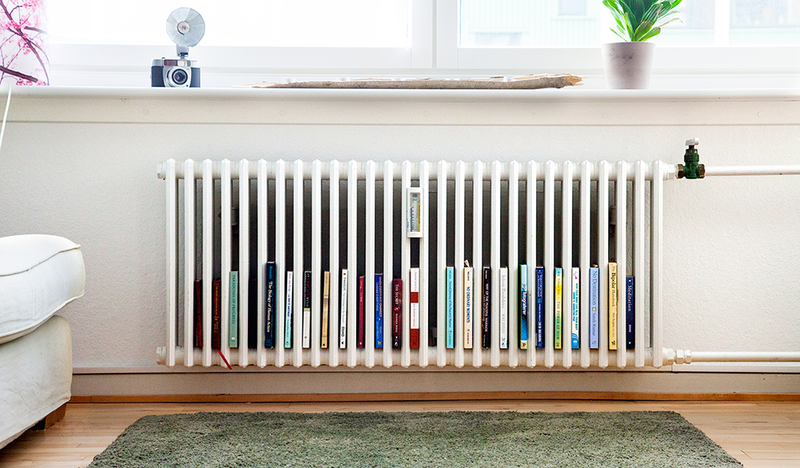 With Homey Flow you can also make your own multiroom heating system. It won’t be as advanced as the technology Honeywell can offer, but it goes a long way. By adding smart radiator valves to your radiators in different rooms, you can adjust the temperature with the Homey Smartphone App! Slightly cheaper, slightly less advanced. A little less known, but nonetheless great smart thermostat is the Anna by PlugWise. Combining its relatively low price-point with plenty of functionality makes this thermostat good value for your money. Maybe it’s not as good looking as a Nest thermostat, and not as powerful as a Honeywell thermostat, but it gets the job done. Just a good smart thermostat at a fair price. One of the things we noticed during testing is the fact that Anna is the only thermostat that keeps working when your internet is down. Anna is the only thermostat that works with a local API, which enables users to have full control over their homes, even when internet isn’t working. Which brings us to the remaining two thermostats. They don’t have any functionality other than the things we already mentioned, but felt compelled to at least mention them. 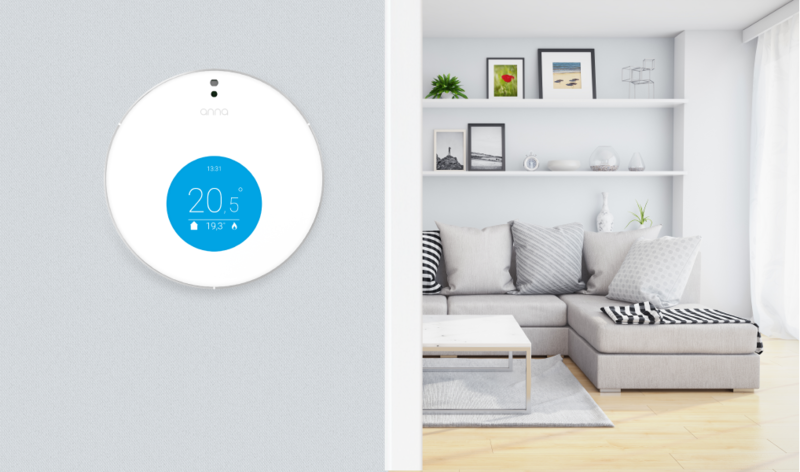 Toon is a smart thermostat that’s mainly popular in the Netherlands. You can get a Toon for free if you get your energy supplied by Eneco or purchase it separately for € 275, -. Because of the connection with a large energy supplier, Toon has the unique feature of measuring (total) energy usage regardless of what type of meter you have at your home. It can read out both smart meters and analog meters. However, Toon has a monthly ‘subscription fee’ of € 4,50,-. This subscription is also necessary to connect Toon and to function optimally. Given the average life span of a thermostat of roughly 10 years, users could end up paying a lot of money. A (firmware) update was recently performed by Toon. As a result, the connection with Homey can be dropped, so that it has to be reconnected. It is expected that with the next update, from Toon, this problem will be solved. If you live in the Netherlands, chances are you might already have a Nefit boiler installed. As a complementary service, Nefit offers the Nefit Easy smart thermostat. It’s a solid piece of technology that works well with your Nefit boiler. If your boiler is made by any other manufacturer, you need an adapter to connect the smart thermostat to your OpenTherm boiler. We hope this helps you make a decision. Of course, all thermostats work perfectly with Homey. It’s up to you to decide which is the best smart thermostat for your situation. Good luck choosing!